Hello guys!!! Today I want to talk about potatoes which are not a very unique food. Hundreds of people talk different things about potatoes. Some have views for its and some have against it. A very common phrase “Couch potato” which means, A person who spends little or no time exercising and a great deal of time watching television. These people are generally over sized as potatoes. So we relate potatoes to make people oversize i.e. helps in putting on weight. Potatoes are tubers. Though it is included in category of vegetables it gives more calories than the other group of vegetables. So it is included in a high calorie food and a high glycemic food too. So if you are on a calorie restricted diet than obviously potato is a bad choice as it allows you to have very small portion of it which might not be stomach filling as compared to the other veggies in the food group. But potatoes are just not unhealthy. There are also many health benefits which have proven that its intake is healthy if taken in measured amount. 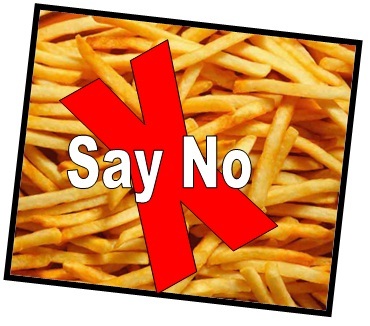 Moreover potatoes are considered to be unhealthy because it is usually accompanied by frying it e.g. French fries, potato chips etc. Parents usually hate potatoes because all kids around the world who are not a vegetable eater have potatoes with great interest. High Blood Pressure: Potato can be used to relieve High Blood Pressure due to tension, indigestion etc. due to abundance of vitamin-C and B in it, but should be avoided if it is due to diabetes. While the precise quantity of potatoes you’d need to eat for a therapeutic effect has still to be measured, it is thought that a few good servings of potatoes a day would have some blood-pressure lowering activity. Here you can consult your Dietitian or Nutritionist to guide you. High fiber: The fiber present in it is helpful in lowering cholesterol and improves functioning of insulin in the body, which aids to lowering of blood pressure, since there is a direct relation between the blood pressure and the glucose level in the blood and insulin regulates this glucose level. High fiber also helps to relieve constipation and improve bowels if you are suffering from sluggish bowels. Heart function: Apart from the vitamins (B-complex, C), minerals and roughage, potatoes also contain certain substances called Carotenoids (lutein, zeaxanthin etc.) which are beneficial for heart and other internal organs. Many of these were flavonoids, which help protect against cardiovascular-disease by lowering levels of bad LDL-cholesterol and keeping arteries fat-free. The B vitamins in potatoes also protect arteries. 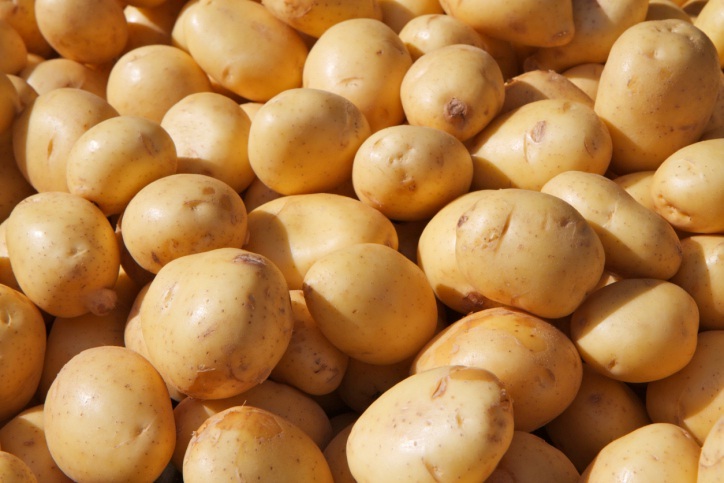 Vitamin B6, found in potatoes, reduces levels of a molecule called homocysteine which is involved in inflammation and the furring up of arteries. Excess levels of homocysteine is also unhealthy for heart. Digestion: Since potatoes rich in carbohydrates, so it is easy to digest and facilitate digestion. This makes them a good diet for patients, babies and those who difficult to digest but require energy. But you must remember that eating too much of potatoes regularly may cause acidity in the long run. Potatoes also contain considerable amount of fiber or roughage, more in raw potatoes and cold ones than boiled or hot ones. Rheumatism: There are two aspects of this factor Vitamins, calcium and magnesium in potatoes help giving relief in rheumatism. Water obtained from boiling potato gives relief in rheumatism. But due to high starch or carbohydrate content it tends to increase body weight which may have adverse effects on rheumatic people. Brain function: Proper brain function largely depend on oxygen supply, glucose level, magnesium, some members of the vitamin B complex and some hormones, such as amino acids and fatty acids like omega-3 fatty acids. Potatoes meet almost all the needs mentioned above. In addition, it contains certain other substances like zinc and phosphorus which are good for brain too. Skin Health: Vitamin-C, B-complex and minerals like potassium, magnesium, phosphorus and zinc are good source for the skin care. Anti-Inflammation: Nutrient contained in potatoes like vitamin C, vitamin B and potassium are good source to relieve inflammation, both internal and external such as inflammation of intestines and the digestive system. Weight gainer: Potatoes have many health benefits but no one can deny the fact that if potatoes are added to the diet on daily basis it will help the person to gain weight. So choose potatoes in your interest. SO HERE ONCE AGAIN WE COME TO THE SAME CONCLUSION THAT ANYTHING IN MODERATION IS HEALTHY.